This time of year, I always start longing for a house in the country, or at least a house of my own with a garden where I could grow vegetables and herbs and spend sunny afternoons weeding and pruning and picking homegrown lettuce for a dinner salad. Maybe one day… for now, I’m in an apartment in a large city, and the only green around me are the trees in neighboring yards. 9. 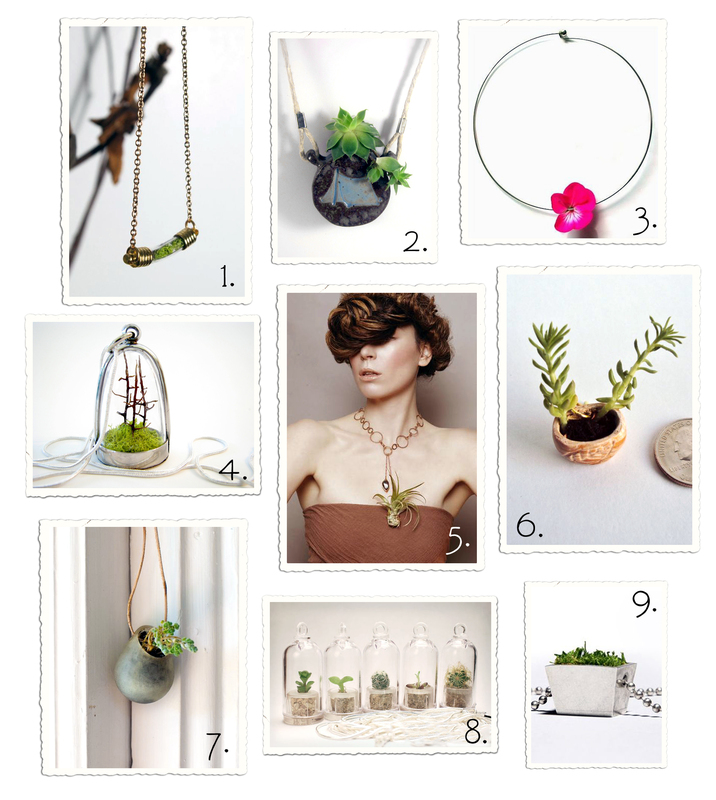 The silver and Icelandic moss necklace by Hafsteinn Juliusson looks like a little window box – so cute!